If you have been following Game of Thrones Season 7 leaks, you would have noticed that the GoT S07E04 was leaked not on a torrent website but on Google Drive. And before Google could take action and remove the GoT Episode from their drives, many hackers had already copied it and then leaked it onto the torrent websites. With the fall of Extratorrent, KickassTorrents, Torrentz.eu and TorrentHound, the pirating community is looking for ways and means to bypass the strict scrutiny both from authorities as well as media companies. While the old guard of The Pirate Bay is still there to hold the fort, hackers and pirates have found a new way to leak movies and TV shows. As already pointed above, GoT Season 7 Episode 4 was first leaked on to Google Drive and this seems to be the flavour of the season for torrents community. According to Lumen report, Hollywood studios and other media companies have filed nearly 5,000 takedown requests for files hosted Google Drive. Why Google Drive as The Pirate Bay? Old timers will remember the times when pirates used Mega upload and other free file sharing services to distribute pirated content before the evolution of torrents and The Pirate Bay. 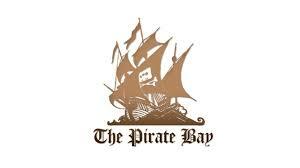 The pirates used to break movies and TV shows into separate files and distribute them through free file sharing websites like File Hippo etc. However, these files sharing websites died a natural death with the advent of torrent websites like The Pirate Bay, ExtraTorrent, KickassTorrents etc. From the reports posted on Lumen Database, it can be seen that the movie pirates seemed to have found an easy way to bypass the extensive scrutiny because it shows each movie or TV show having been hosted on different Google Drive accounts. Another workaround developed by the movie and TV show pirates is to upload a blank video on YouTube with the name of the latest movie and merely share empty links with the embedded YouTube video to avoid detection. Another way the pirates operate is by uploading videos as unlisted, so they don’t turn up in search results. The links to these videos are then shared as Google Drive links through discussion forums, Facebook Groups, and other channels so it’s difficult for the content owners to find the videos and get them taken down. Google is trying to be one up on the pirates by introducing novel ways to catch them. One such tool introduced earlier this year by Google called hash matching, a mechanism to detect infringing content. But looking at the Lumen database reports, it is evident that Google’s hash matching has failed to curb piracy on its own drives. So the next time you want to download the torrent for your favourite latest movie, you know Google Drive is there for you!! !